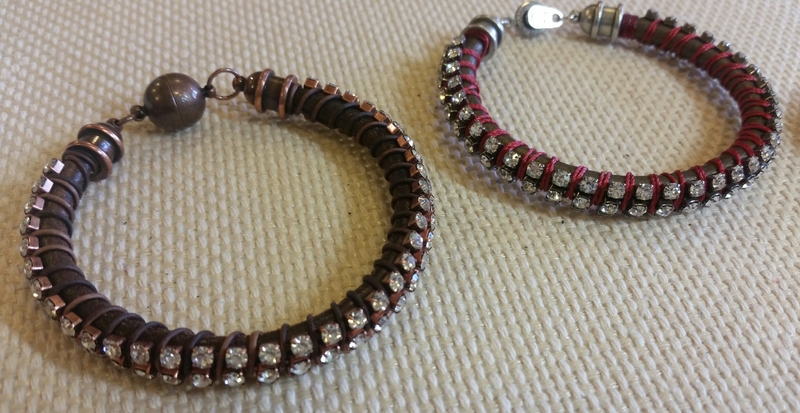 Join us for this Band of Bling Class on Friday December 11th from 12-2pm! It’s our monthly free friday class offering so there is no charge for the class – just purchase supplies! This is a great design and easy to make! You’ll only wish you had 3 hands for a little while…then it’s a piece of cake!